When protons or heavy ions are accelerated to about 70% of the speed of light via a synchrotron, these ion rays are directed into the human body. Before reaching the tumor lesion, the radiation energy is not released much, but after reaching the lesion, the radiation will release a large amount of energy instantaneously. The energy release trajectory named "Prague Peak" is like a "stereotactic blasting" for tumors. It can strongly irradiate tumor lesions while avoiding normal tissue irradiation and maximizing the therapeutic effect. 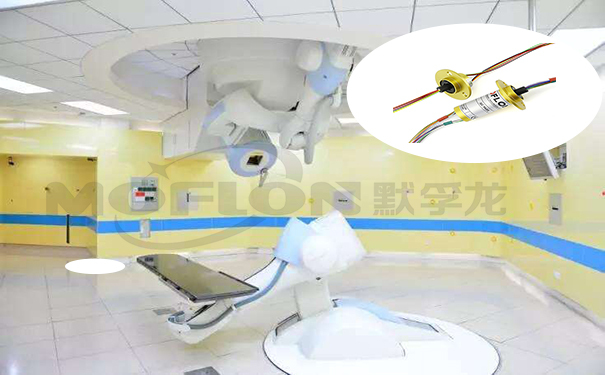 Proton heavy ion therapy device 360° infinite rotation will have winding troubles, which requires the use of slip rings. Moflon recommends MC series cap slip rings. 1. The capsule slip ring is a general term for a series of slip rings with a circular flange attached to the housing. The capsule type slip ring looks like a hat, compact design, small size, and easy to install. 2. The product adopts the US military surface treatment process and super hard gold plating to ensure extremely low resistance fluctuation and long working life. 6. 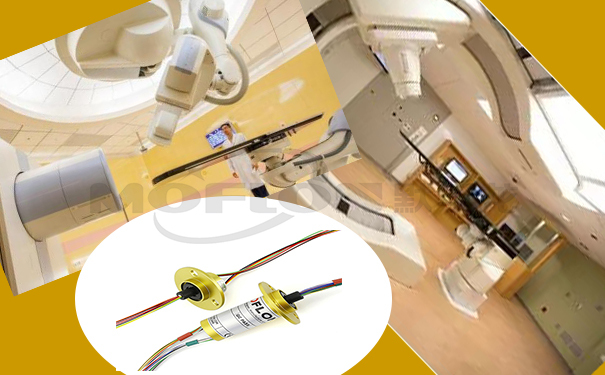 Can be customized all kinds of capsule slip rings, capsule slip rings, high speed dome camera slip rings, capsule type conductive rings, etc. Moflon can provide different electrical channels combinations, adopt advanced cluster brush type precious metal multi-point contact, ensure reliable contact under extremely low friction, master the key technologies of design and manufacture, and have independent intellectual property rights, fully satisfying 360 degree unlimited rotation of power and control signal transmission, welcome to consult and purchase. Pri: The looseness reason and maintenance of the slip ring. Next What is the Technical Procedure of Implementing the Gas-Electric Integrated Slip Ring?